Now that summer is in full swing, we are in the heat of the home improvement season, and while many homeowners have focused their attention on projects outside of their homes, it is important not to forget about the many elements inside your home that could use a bit of attention over the season. Your electrical system plays a major role in the overall comfort and convenience of your home for you and your family, and as it turns out, there are a few upgrades you can make around your home this summer that can help you enhance that comfort and convenience To help identify exactly what a few of these upgrades are, and the kind of effect they can have on your home this summer, our team of skilled professionals have taken the time to put together this short list that we hope you will read through and enjoy. After reading, give our team of skilled electrical contractors a call today and let us help you schedule an appointment for your electrical upgrade service. While it might not be an option you have put much thought into before, installing new dimmers throughout the various rooms of your home is a great way to enhance the overall ambiance and versatility of your home’s lighting. Dimmers are a great alternative to the standard all-or-nothing approach to lighting a room, and give you an unrivaled level of versatility that you can’t find with most other lighting solutions. Dimmers allow you to create the desired level of brightness in any room they are installed, which can be perfect for those rooms of your home that always either seem too dark with the lights out and too bright when they are turned on. While we are certainly feeling the heat right now, temperatures are only likely going to continue going up as the season progresses, and as such, you want to do everything in your power to give your AC a bit of much-needed help in order to keep your home cool this summer. One way to do this is by upgrading your old ceiling fans. Ceiling fans play a major role in the overall comfort of your home, and with newer ones especially, they can help to take a bit of the strain off of your AC this summer, helping to avoid unnecessary wear and tear. If your ceiling fans are a bit older, or they just haven’t been working like they should for some time now, why not let our team of professionals help you find the perfect upgrade this summer? Dead or damaged outlets around your home can not only be a major hassle, but they can also be a serious safety hazard at times. Whether you are trying to clean up around the house, plug in your new electronics, or just find a place to plug in your phone charger or laptop cable, finding a dead outlet or one that won’t hold onto a plug can be a major frustration, so why not take the time this summer to fix that? With the help of our electrical contractors, you can get those damaged or dead outlets working again like they should be, helping to enhance the overall convenience of your home, as well as its safety for you and your family. 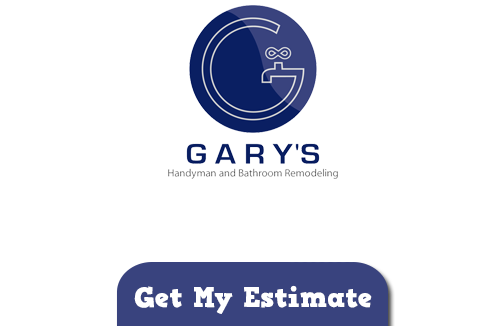 If you are looking for electrical services in Chicago, give us a call today at 847-800-4279 or fill out our online request form.